When Claude “Chuckles” Choules died in Perth Australia earlier this year, the world lost the last combat veteran of WWI. Chuckles was 110. As the centennial of the war’s outbreak approaches, memorials are being planned. 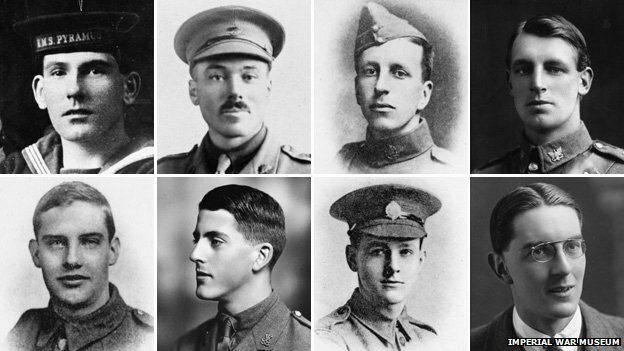 The Imperial War Museum is publishing a series of portraits called Faces of the First World War. An early installment is reproduced above. The BBC has more. This entry was posted in Australia, History, Military, Photography and tagged Armistice, Claude Choules, Faces of the First World War, Great War, Imperial War Museum, Photography, Veterans Day, WWI. Bookmark the permalink.